Steel Blue’s Met-Guard, or Metatarsal Guard, is specially designed to protect the metatarsal area of the foot that extends from the toes. Our Met-Guard reduces the risk of injury from impact to this part of the foot. 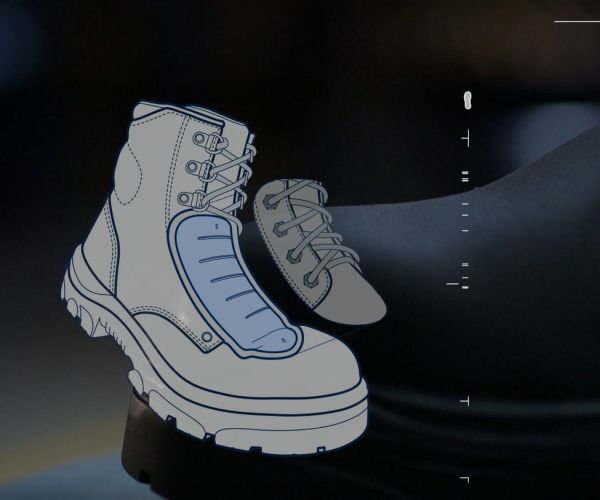 Our Met-Guard provides superior impact protection and reduces the risk of injury from impact to this part of the foot – without compromising on our complete level of 100% Comfort every day. This is a popular choice for mining workers, factory hands and drillers, who sometimes need the extra protection the Met-Guard affords. 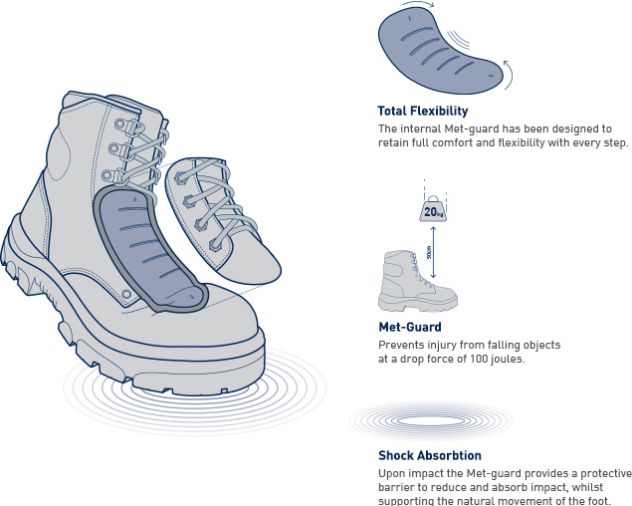 See how our Met-Guard Boots provide superior impact protection.